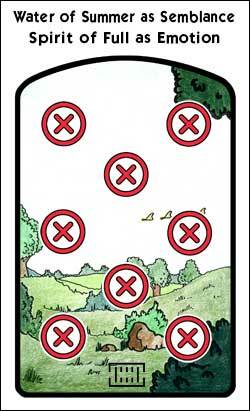 The Landscape Tarot was created before The Isomorphic Tarot, and before The Numerical Tarot and before The Seasonal Tarot. It's not a very good deck, but... I didn't want it to go to waste and never be seen, so I modified it and added to it a bit and decided to use its purely seasonal appearance as a preliminary destination for Quintagrams. 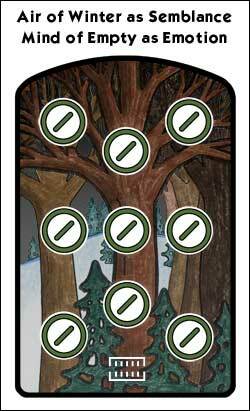 I've also included the seasonal progression through the Minor Suits that came before this deck. There are no Majors or Court for that deck, it was just a seasonal progression, so I figured it would go well with this other strictly seasonal progression. Click on a number to go straight to that card. From there you can navigate to other cards.